It was all very simple, really. I walked up the steps to his theater dressing room, turned the corner, and there he was, at the other end, just standing there, as you do, after you have finished a 4-hour matinee performance of a very demanding play, in your stocking feet, getting ready for a nap so you can go out and do it all over again in a few hours. I looked at him, but he was already moving. “Stella!” he said, with a big smile, and then he was across the room and enveloping me in a hug that both caught me by surprise and felt absolutely natural. It was as though I had always known him and we had just not seen each other in a long time. Old friends, we were, somehow. It was lovely and amazing. I glanced at him sideways and whispered “My god, man, I’ve been waiting to do this for eight years.” He twinkled at me. “I know.” And he hugged me again. Here is a surprising thing: I had spent the previous four hours watching this man portray an aging stage actor, an Irishman full of bluster and regrets, a little threadbare, with graying hair and sad eyes. I remember thinking: well, this might really be what Gabriel is like now, at this time in his life. He was so real. I believed his James Tyrone. But the man who came to envelope me in his arms and smile and say lovely things to me was NOT the man I’d been watching. No. This man was so full of energy and spirit and genuine warmth that I could feel it all emanating from him like electricity. Those blue eyes are not only blue. They are full of light and humor and life. He was beaming. You can see it in the picture. So I beamed back. Of course. Any hesitation I had felt evaporated immediately. He bowled me over. And I did not faint. I was too busy looking at his face–a face that I thought I knew, after years of posting images of him on the website. Images I had cropped or added to backgrounds for wallpapers. Images from every stage of his career. I know every line and every look of that face. I thought I did, anyway. I had never seen that face in “real life,” however. And real life is different. He is beautiful. Not only a beautiful movie star. A beautiful person. Creative people have an energy and a skill all their own. They know how to communicate. They know how to focus. They know how to make someone else feel special. It is who they are. I have heard a lot about “charisma” over the years and even experienced it on occasion (famous authors, opera singers, etc.). But nothing prepared me for this. 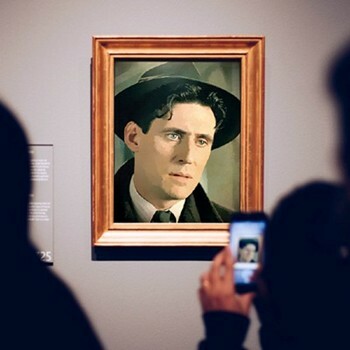 I felt the incandescent headlights of that energy from Gabriel Byrne, in his dressing room, with his assistant hovering in the background, reminding him of his nap, while we ignored her (for a few minutes, anyway). He knows I care about him. He showed me he appreciated it and he cares, too. Unlike some dreams, this is one I will never forget. I will always hold those brief moments in a special place in my heart. Once in a lifetime. I had my once. I will always cherish it. And him. He thanked me for the website. 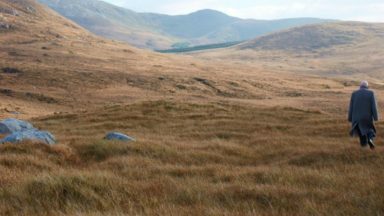 He noted that he sometimes visits, but not too often because, he said, “I’m never sure what I might find there.” He reported that his family and friends visit it and like it very much. I told him not to worry about it too much because my mantra for Byrneholics web design was “What Would Gabriel Do?” And he laughed. I gave him a kiss from Verónica and the Facebook fans. He kissed everyone and gave them posters. He presented me with my poster, which I absolutely adore and will frame and display in my office at home where I spend so much time writing about him and his work. I grumbled, “Where’s MY kiss?” So he kissed me too. He thanked us for coming to see him. And he meant it. And then we departed so he could take his nap. The wonderful thing about signed posters and photographs is how much they remind you that it all really happened. A dream come true, yes. Entrancing. Transcendent. Unforgettable. 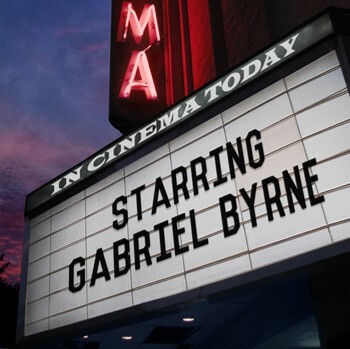 Thank you, Gabriel Byrne. Thank you for making the adventure so magical. And so real. Thank you to Stella for sharing this special experience with us. 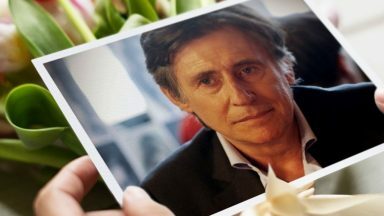 Thank you to Gabriel Byrne for being himself and for being a nice person to Stella – a person that all Byrneholics have a close relationship to. 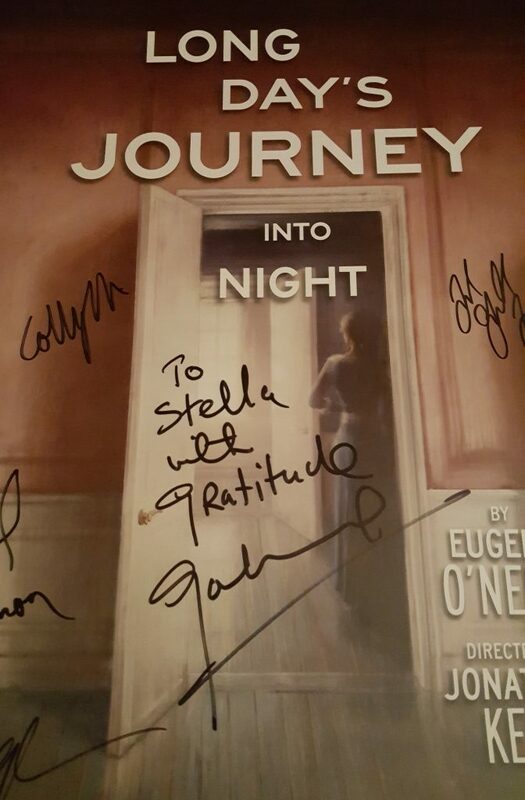 When I read Stellas «essay» from the day she saw the play and the day she met Gabriel Byrne, my eyes were filled with tears. 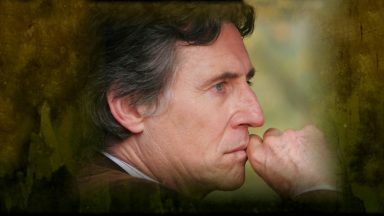 I was so moved, I was so happy for Stella and I was so proud for being a Byrneholic: (as) a long time admirer of the great actor Gabriel Byrne and a long time admirer of the human being Gabriel Byrne. A man that has so many talents, and a man that gives from his honest self through many very different but great performances, and through his ability to speak and write to promote important things in society. 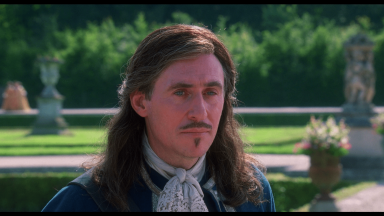 It was especially nice to read that Gabriel Byrne is the kind of man in real life that I suspected he would be. Like every other Byrneholic I have read so many interviews with him, I have read what he has written himself in his book and in book reviews. I have listened to every thing he has said in interviews that is possible to find on the internet. Year after year. And why? Because he has so much knowledge and experience so I have so much to learn from him. What wise words to take with me in my life! 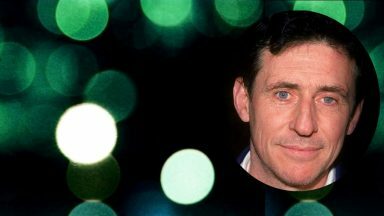 Now I also know that Gabriel Byrne has an open, warm personality that can appreciate Stella and her great work for all of us in the Byrneholic «family». As soon as I saw the photo with Gabriel and Stella I felt so good. 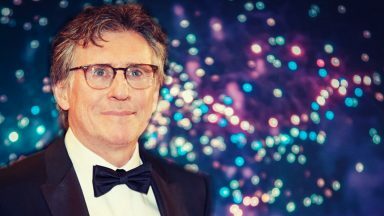 I have seen hundreds and hundreds of photos of Gabriel Byrne and even if he is a great actor it is possible to see on a photo of him when he is genuine feeling good. What a nice experience Stella. I can’t thank you enough for sharing it with us. But he is here for all of us, as you say, through his work and words. His is special. Unique. And, to avoid sounding as though I am trying to start a new religion or something, he is warm and funny and human. So lovely, to meet the man at last. Wow, just “wow.” That is my very first thought both on seeing the photo of Stella and Gabriel together, and on reading Stella’s story. Not very profound I know, but ‘wow,’ after all these years! Thrilling to read how Gabriel reacted to meeting Stella. How he just naturally walked across the room and embraced you, as if you were old friends. Somehow it is just so right. To me that says so much about the man. I am truly thrilled (and yes a little jealous) for you Stella. What a wonderful essay, Stella! 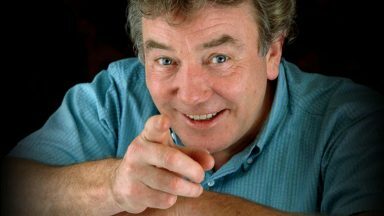 It’s very nice to know that in real life Mr.Byrne is even more amiable, attentive and charming as we can imagine watching his films and reading interviews. I appreciate the way Mr. Byrne greeted you and that he took the time for talk with you and your friends. He said that he visits this website sometimes! It’s really fantastic! So, I thank you, Mr. Byrne, for this photo for your fans here and all over the world. This smile is especially dear and unique. We love and admire you very much! 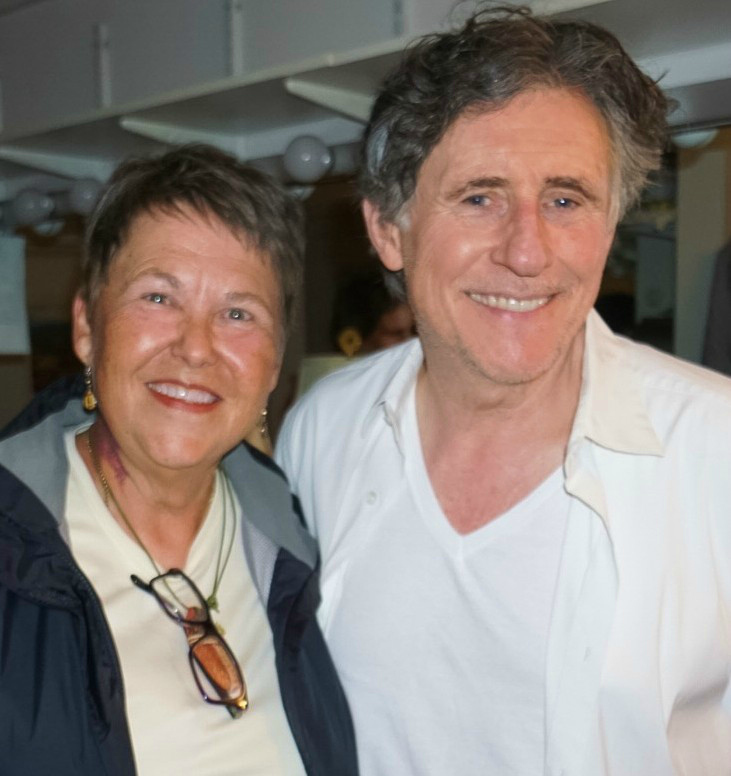 Stella, thank you for sharing your story of unforgettable encounter with amazing Gabriel Byrne ! What a wonderful experience ! Words fail me. Hello Stella, I am happy to see that you have had a chance to meet Gabriel, too. It must have been an overwhelming, star struck experience. He is one of the most classiest and intelligent of actors that I have seen in this day and age. I know he does not like to carry the celebrity status everywhere he goes but I believe in his integrity as a human being and in the roles that he chooses because he is very eloquent and charismatic, he has a reason to be celebrated on so many levels. Thank you for sharing your experience with us. DEAR STELLA I AM VERY HAPPY TOO , BECAUSE YOU HAVE HAD THAT GREAT AND WONDEFUL OPPORTUNITY TO KNOW MR GABRIEL,. REALLY YOU WIN THIS FOR ALL YOUR EXCELLENT WORK THROUGH THAT YEARS. 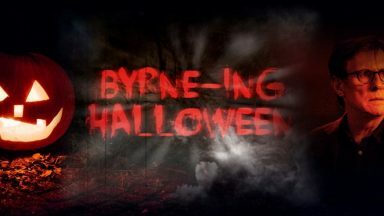 I AM VERY HAPPY TO BE PART OF THIS GREAT BYRNEHOLIC S FAMILY ALL AROUND THE WORDL , AND I CANN T WRITE MORE THINGS BECAUSE I AM IN AGREED WITH ALL WHAT YOU HAVE SAY IN THIS PAGE . MY BEST WISHES FOR ALL YOU MY DEAR FELLOWS , FOR EVER TOGETHER. This is the first time that I find it very difficult to express my thoughts and feelings about something. 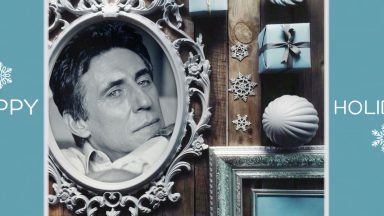 Every time I read what you wrote, as title, of your post : Meeting Gabriel Byrne, hardly can believe it. 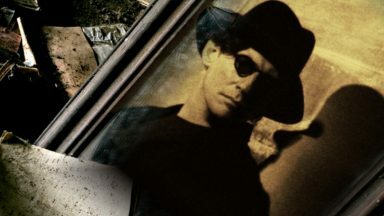 MEETING Gabriel Byrne. Somebody who we felt so unreachable until your dream came true. Personally I’m very glad to know he is just like his Trade Mark Smile shows and what I always say: This man is a good person and you say he is a beautiful person. You had your chance. A big chance. You not only met your long time admired actor but you met the human being that lives in him. Thanks for giving to him my kiss. I would like to give it personally . Gabriel if you read this, please come and visit us on Facebook. More than cyber kisses and hugs you will not receive. Think of us who cannot go to see you on Stage. We only can admire your films, series and interviews and look at your pictures. 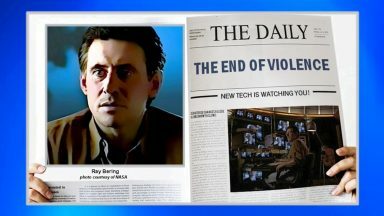 All Byrneholics of Facebook admire you as actor and love your blue eyes, your smile, your hands and your very personal way of combing your hair. 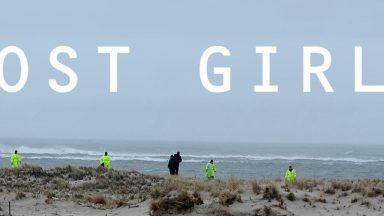 I have not been to the site in almost a year, but having just seen Long Day’s Journey on Saturday with my husband, sister and brother-in-law, I am looking for news again. The play and the performances have been on my mind for 5 days now. I am so happy for you. You deserve this so much. There is indeed an intoxicating attractiveness in his intelligence and genuineness. I can only observe from a distance, but it feels tangible. Thank you Stella for sharing this so precious moment with us ! Thank you for confirming that Gabriel is really as we imagined, a very kind person. Thank you so much for sharing your experience of feelings as you said. What a wonderful encounter! a real man full of warmth, charm and integrity! Yes, a dream come true!! Kristen, you are so right. Stella’s essay carries us up into that special encounter with Mr. Byrne. Truly breathtaking ! Thank you ALL for your lovely response to my essay. Well I’m writing to you now and the tears gathered in my eyes I’m happy to you Stella but the tears falling in my cheek lots of tears my hands are shaking I cannot neither be able having any oxygen in any part in my face can’t take it I bet everyone comments have those tears. Rawabi, it was such a special experience! I wish everyone had the chance to meet him. Thank you Stella to comfort me I’ll remember your words very clearly.